Kevin G. Glade is a member of the firm’s Executive Committee and serves as the firm’s Finance Director. Kevin was the former Chair of the firm’s Banking and Finance Section and specializes in commercial finance, commercial mortgage lending, commercial law, syndications and intercreditor agreements, private debt financing, borrower representation, loan workouts, foreclosures, and equipment financing. He has extensive experience in real estate matters, commercial litigation development and strategy, and general commercial contract review and drafting. Kevin provides representation to financial institutions regarding payment systems and regulatory issues and operations. He also provides representation to state and national bank trade associations, including litigation (related to competition between financial institutions) and legislative work (e.g., Utah’s adoption of periodic changes to the Uniform Commercial Code). He provides seminars for institutional clients, associations, and other lawyers on a broad range of topics. 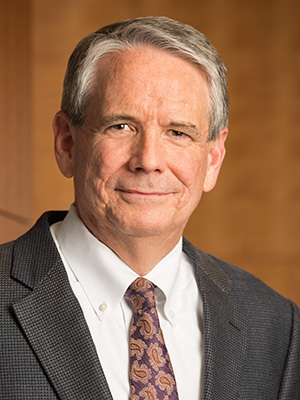 He is the past Chair of the Utah State Bar’s Banking & Finance Section, and a member of the Real Property Section, as well as the ad hoc Revised Article 9 Committee. Kevin received with distinction his undergraduate degree and law degree from the University of Utah. Kevin received the 2017 Distinguished Service Award from the Banking and Finance Section of the Utah State Bar. Mr. Glade has been included on the list of The Best Lawyers in America in Banking and Finance Law, and was recognized by Best Lawyers as Lawyer of the Year in Financial Services Regulation Law and Banking and Finance Law (2013, 2015, 2018). He maintains an AV Preeminent (5.0) rating with Martindale-Hubbell, which is the highest rating awarded to attorneys for professional competence and ethics. Mr. Glade has also been voted by his peers throughout the state as one of Utah’s “Legal Elite,” as published in Utah Business Magazine (2006-2019). Counsel for lead bank in the documentation of a credit to finance a portfolio of USDA guaranteed commercial mortgage loans. Lead borrower’s counsel representing a group of auto dealerships in a $1 billion syndicated inventory flooring line. Counsel for a financial institution in the workout of a $27 million credit. Counsel for a financial institution in documenting a handful of large rediscount factoring facilities. Counsel for financial institutions in several acquisition financing credits. Counsel for a financial institution in documenting a construction loan line of credit for luxury resort properties in Wyoming. Counsel for a financial institution in the acquisition of tax-free exchange service provider. Counsel for a financial institution in a multistate storage facility mortgage loan. Borrower’s counsel in a $60 million headquarters construction and term loan. Counsel to state retirement fund in financing investments. Counsel in numerous asset-based lending transactions. Borrower’s counsel in numerous commercial mortgage loans and other commercial credits. Numerous representations as Utah counsel in multistate financing transactions. American Bankers Association v. National Credit Union Administration, 347 F. Supp. 2d 1061 (D. Utah 2004).